There are 2,000+ Teaching Artists in our 110+ Member Organizations around the country serving close to 20,000 students! 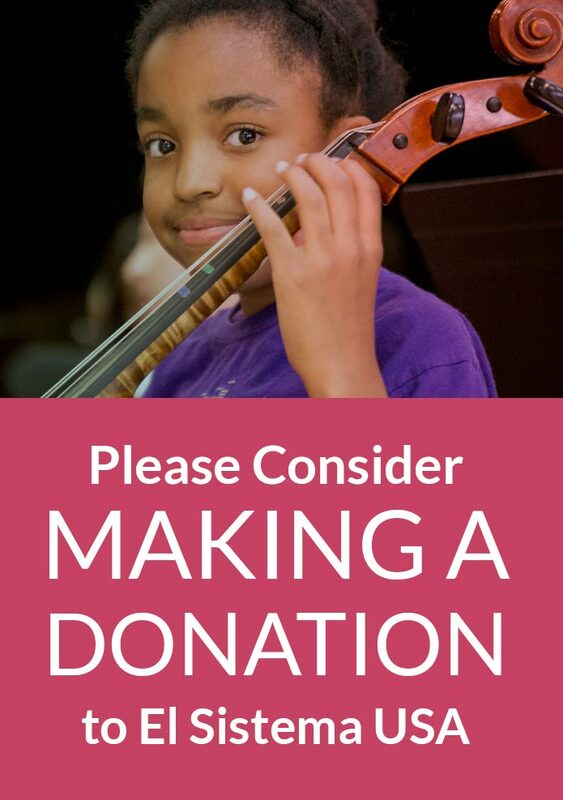 This year, in collaboration with The Ensemble Newsletter, we want to show how #ElSistemaGrateful we are for our invaluable Teaching Artists – and we need your help! On Giving Tuesday (November 27, 2018) share a post on Facebook, Instagram, or Twitter using the hashtag #ElSistemaGrateful that thanks Teaching Artists from your program! If possible, a video of your students or families saying thanks. Be creative! Be sure to tag El Sistema USA in your post so we can help shine a light on Teaching Artists across the country!